Okay, so, I'm RIDICULOUSLY behind in posting my purchases within the last two months, but I was extremely busy during May and June. Also, I like to play with products for a month or two before posting anything about them. Anyway, enough with the babble, on with the goodies! Two months ago, Laudree was offering a free gift with any 5,000 yen purchase. Not a difficult amount to reach, since the most inexpensive beauty item is approximately 3,990 yen ($50.17). The gift with purchase was this fan with the same charm that's attached on the rouge lipsticks. 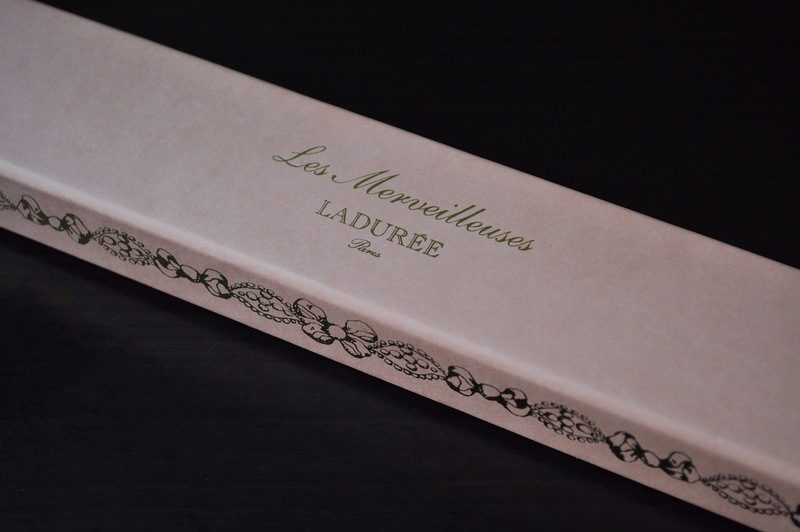 I love the print and texture of Les Merveilleuses de Laduree's packaging. Cream Cheek Base in 05 (4,410 yen). The Cream Cheek Bases have a lovely, velvety smooth texture and apply wonderfully. Unfortunately, they don't perform well in extremely hot and humid temperatures. With the humidity levels we've been experiencing lately, these cheek bases are basically nonexistent after 30 minutes. I do like the Cream Cheek bases, but during summer, I'll be using them as a base under powder blushes or alone/or as a base during the cooler seasons. I REALLY love these Rouge lipsticks!! They're moisturizing, creamy, pigmented, glossy and I love the way they feel on my lips...Praise Him!! From left to right: Rouge 07 and Cream Cheek Base 05. Rouge 07: A bright mid-tone pink. Cream Cheek Base 05: A vivid blue based medium pink. WARNING! What you are about to see in my natural hair. This is not a wig/ hair piece/extensions/ whatever. This is my really hair...it actually is THIS curly. I just really, really, REALLY need to get my roots done! Les Merveilleuses Laduree Cream Cheek Base 05. Les Merveilleuses Laduree Pressed Cheek Color in 05 (placed over the 05 Cream Cheek Base). Ettusais Eye Color C Eyeshadow in BR4 (all over the lid). Mac Eyeshadow in Modelette (in the crease). Shu Uemura Hard Formula brow Pencil in Seal Brown (along the lower lash line). 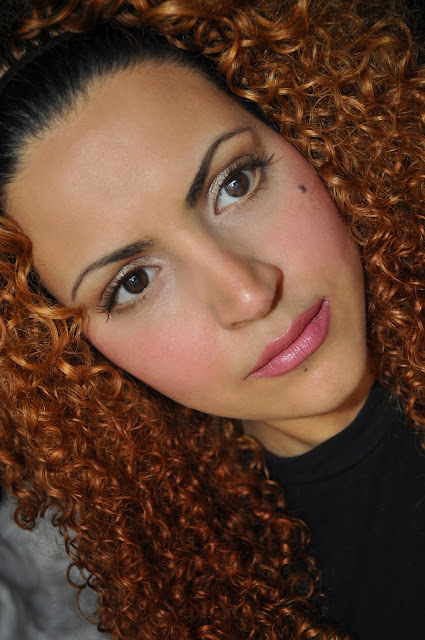 Helena Rubinstein Lash Queen Fatal Blacks Waterproof Mascara in Captivating Bronze 03. Les Merveilleuses Laduree Rouge in 07. 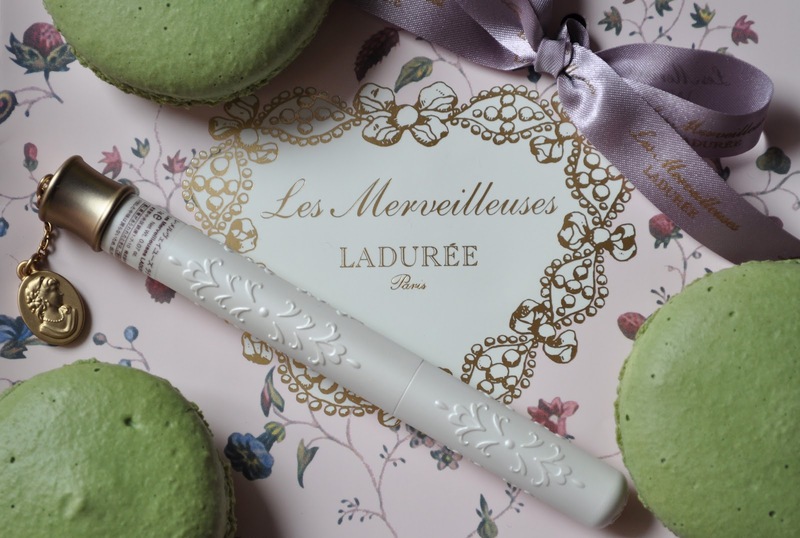 If you would like to know more about Les Merveilleuses de Laduree, click here to read my first post. Hope you enjoyed the swatches and look. You and your hair are absolutely stunning!! My straight hair cries with envy. I've decided I need both of these, in these exact colours. Need to save money and then beg someone, 'cause I'm not paying Ichibankao's markup! By the way, did you get my email??? I didn't get your e-mail - I think g-mail ate it! You can e-mail me any time at asiyakei at gmail dot com (I check it obsessively on my iPhone haha). I'm going over to drool at your Hakuhodo post next, haha. Ahhhh I wish I could get my hands on Laduree!! Especially the rose petals ones, but at $100 a pop on eBay, my purse won't thank me for it. I love the lipstick! It looks really vibrant yet so natural! How's the packaging? Are they really sturdy? I'd love to know!! Btw, your hair is AMAZING! 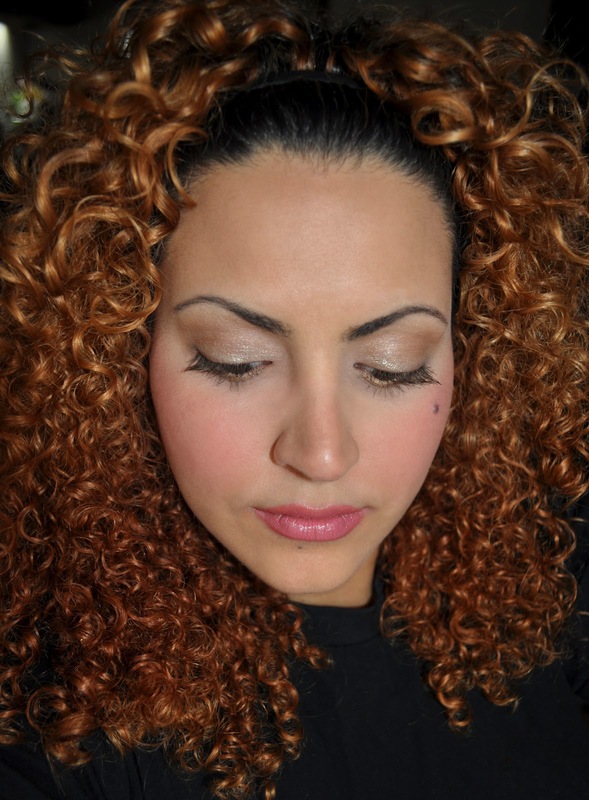 I love colour which really brings out the curls! Hey M.May!! If you want anything, I can pick it up for you. I wouldn't recommend the blushes petal, the color payoff is poor...the product is gimmicky!!! I'd suggest the pressed blushes, Love them! I'm not a fan of the packaging. With the extremely high price point, I expected the packaging to have some weight to it, and sophistication, Instead of the light plastic packaging. I'm going to be posting a "How I dye my hair" post soon. Hope you'll enjoy it! Thank you Demi! It's just way too hot to blow dry it!! Thank you Ari!! Go get some Macaroons girl!! THese were matcha Macaroons and soooooo yummy!! hi beautiful! omg! i love your curly hair!!!!! I'm not over the moon about Laduree's packaging, but the pressed powders are great! The more I use them, the more I love them!! Looking forward to combing through your archives! Hehehe, My sinister plan to enable the entire beauty community is finally at hand(laughing nefariously while maniacally rubbing hands together*)!!!!! Your curls are beautiful! And thanks for the review and swatches, which are immensely helpful. The shades look lovely on you but I think the prices are still too high. What lovely hair you've got! And I have been wanting to try the Laduree petals or pressed blush but that lipstick looks amazing! Thank you Maria!! I'd recommend the pressed blushes and the lipsticks!